The Defense Security Cooperation Agency notified Congress April 30 of a possible Foreign Military Sale to the Government of Japan for a possible sale of an initial four F-35 Joint Strike Fighter Conventional Take-Off and Landing (CTOL) aircraft with an option to purchase an additional 38 F-35 CTOL aircraft. The estimated cost is $10 billion. 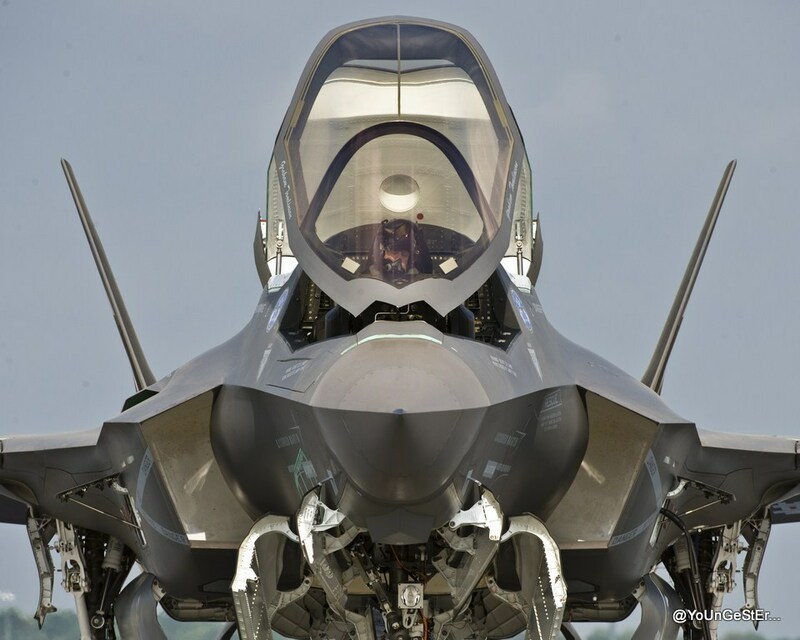 All aircraft will be configured with the Pratt and Whitney F-135 engines, and 5 spare Pratt and Whitney F-135 engines. Other Aircraft Equipment includes: Electronic Warfare Systems, Command, Control, Communication, Computers and Intelligence/Communication, Navigational and Identifications (C4I/CNI), Autonomic Logistics Global Support System (ALGS), Autonomic Logistics Information System (ALIS), Flight Mission Trainer, Weapons Employment Capability, and other Subsystems, Features, and Capabilities, F-35 unique infrared flares, reprogramming center, and F-35 Performance Based Logistics. Also included: software development/integration, flight test instrumentation, aircraft ferry and tanker support, spare and repair parts, support equipment, tools and test equipment, technical data and publications, personnel training and training equipment, U.S. Government and contractor engineering, technical, and logistics support services, and other related elements of logistics support. The estimated cost is $10 billion. Japan is one of the major political and economic powers in East Asia and the Western Pacific and a key ally of the United States in ensuring the peace and stability of this region. The U.S. Government shares bases and facilities in Japan. This proposed sale is consistent with these U.S. objectives and with the 1960 Treaty of Mutual Cooperation and Security. The proposed sale of aircraft and support will augment Japan’s operational aircraft inventory and enhance its air-to-air and air-to-ground self-defense capability. The Japan Air Self-Defense Force’s F-4 aircraft will be decommissioned as F-35’s are added to the inventory. Japan will have no difficulty absorbing these aircraft into its armed forces. The prime contractors will be Lockheed Martin Aeronautics Company in Fort Worth, Texas, and Pratt and Whitney Military Engines in East Hartford, Connecticut. There are no known offset agreements proposed in connection with this potential sale. Implementation of this proposed sale will require multiple trips to Japan involving U.S. Government and contractor representatives for technical reviews/support, programs management, and training over a period of 15 years. U.S. contractor representatives will be required in Japan to conduct Contractor Engineering Technical Services (CETS) and Autonomic Logistics and Global Support (ALGS) for after-aircraft delivery.